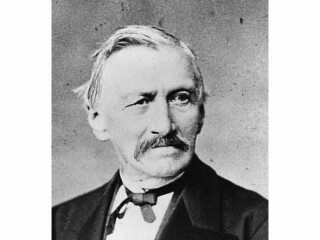 Gottfried Semper was a German architect, art critic, and professor of architecture, who designed and built the Semper Opera House in Dresden between 1838 and 1841. In 1849 he took part in the May Uprising in Dresden and was put on the government's wanted list. Semper fled first to Zürich and later to London. Later he returned to Germany after the 1862 amnesty granted to the revolutionaries. In 1855 Semper became a professor of architecture at the new school and the success of many of his students who attained success and renown served to ensure his international fame. The Swiss architect Emil Schmid was one such student. With his income as a professor, Semper was able to reunite his family, bringing them to Zurich from Saxony. The City Hall in Winterthur is among other buildings designed by Semper in Switzerland. To be completed The 'Museum-question' was discussed in Vienna during the 1860s. Works forming the imperial art collection were scattered among several buildings. Semper was assigned to submit a proposal for locating new buildings in conjunction with redevelopment of the Ringstrasse. In 1869 he designed a gigantic 'Imperial Forum' which was not realized. The National Museum of Art History and the National Museum of Natural History were erected, however, opposite the Palace according to his plan, as was the Burgtheater. In 1871 Semper moved to Vienna to undertake the projects. During construction, repeated disagreements with his appointed associate architect (Karl Freiherr von Hasenauer), led Semper to resign from the project in 1876. In the following year his health began to deteriorate. He died two years later while on a visit to Italy.